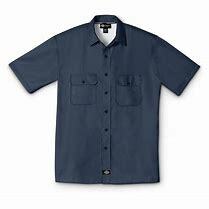 For some time I have been looking for a certain kind of work shirt that I really like. Years ago I had purchased some at Walmart, but in checking there, both locally and in different towns, I have not been able to find what I am looking for. One day I remembered how when growing up, when you wanted to find something, you would get out the Sears catalog and find all styles and sizes. I thought, “I’ll just stop in Sears and look at one of their clothes catalogs and find just what I am looking for.” When I stopped and inquired I was shocked to learn that the last published Sears catalog was in 1992. I was even shown a copy of the last issue. They don’t print catalogs anymore. It is all online. My first thought when I learned this was, “Boy! Am I behind times or what!” I know that the internet is the going thing, but since 1992! I even said out loud, “Wow! Where have I been!” It was just hard to believe that major stores don’t print catalogs anymore. That’s the way it was done all my years of growing up. But now, there is a new way, and if I am going to get the goods I had better go with the new way. One of the prophets of old spoke of God doing “a new thing” and that there was going to be a new way (Isaiah 43:19). From the beginning of time God has revealed himself to man through creation and through the law. True to the prophet’s prediction, Jesus came on the scene and revealed the way of a personal relationship with God through faith in the Word and by walking in the power of the Holy Spirit. This new way was fully revealed on the day of Pentecost when the church started operating in the same resurrection power in which Jesus himself walked when he was on earth. The new way gets the job done just like Jesus did it. It wasn’t “church as usual”, and “the way we’ve always done it.” It took some change on some people’s part, and those who were not willing to change went without. The good news is that if we are willing to change, we can step into the “new thing” that God is doing. When we get “online with God”, we will find that indeed Jesus Christ is the same yesterday, today, and forever. As we receive and walk in his Word and his Spirit by faith, he will supply our needs in every way abundantly above all we are able to ask or think. It is by the supernatural power that works in us by being born again and filled with the Holy Spirit (Hebrews 13:8,9; Ephesians 3:20). We are either online or outdated.